The City of Greeley, CO, processes an average of 150 liquor license renewals per year. 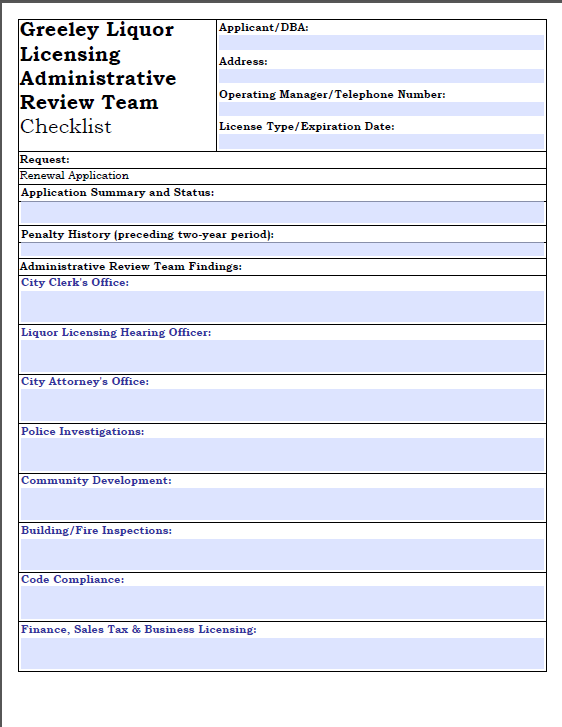 Previously, the City Clerk had to manually collect and collate feedback from multiple departments before mailing the application to the state of Colorado. Here is how Laserfiche Workflow made the liquor license renewal process more efficient. As required by the State of Colorado, business owners fill out liquor license renewal applications on paper and deliver or mail them to the City Clerk’s office. The Deputy City Clerk reviews the applications before scanning them into Laserfiche with Laserfiche Scanning. 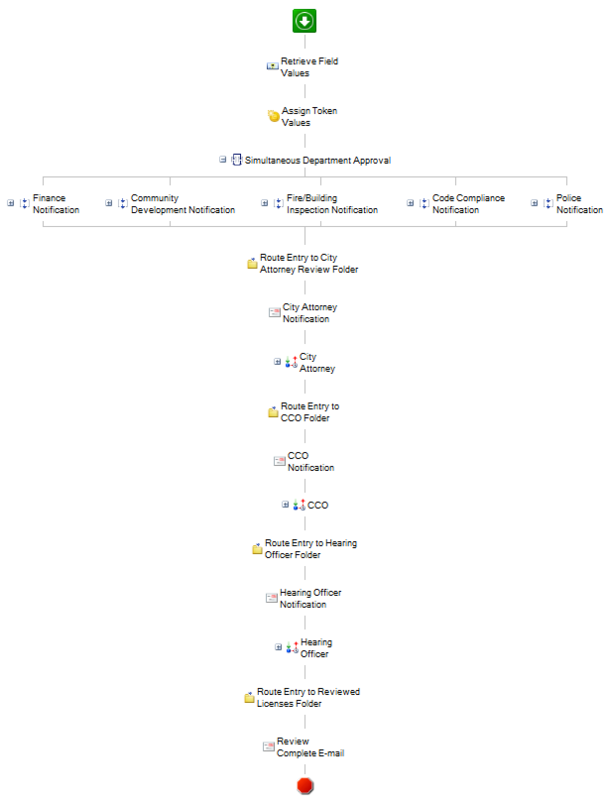 During this process, she also populates some of the metadata. The rest of the metadata will be populated at a later stage in the process. Creates a new “Review” document in the form of a fillable PDF and populates it with information stored in the original application’s metadata. 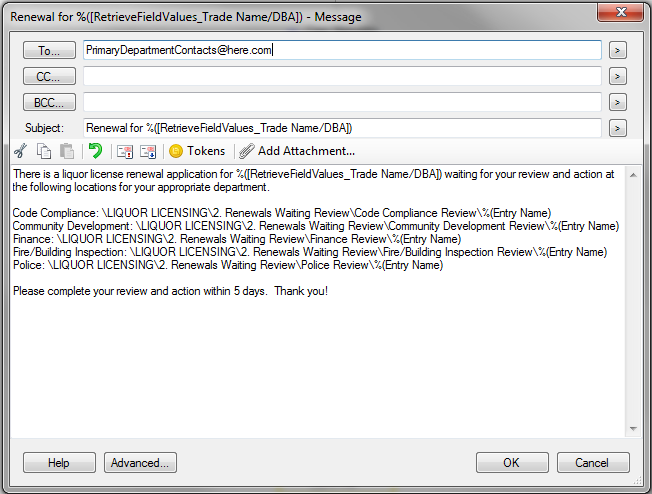 Reviewers can leave comments in this form. Each department makes its comments in the “Review” document. 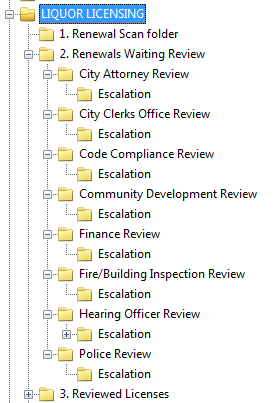 Since the departments are all working from shortcuts, all changes are made in the same master document. After all five departments have reviewed the document, the Attorney’s Office is automatically notified. The reviewer at the Attorney’s Office checks for legal compliance and makes his own comments in the “Review” document. If at any point in the process a reviewer takes no action within two days, the reviewer receives a follow-up email. 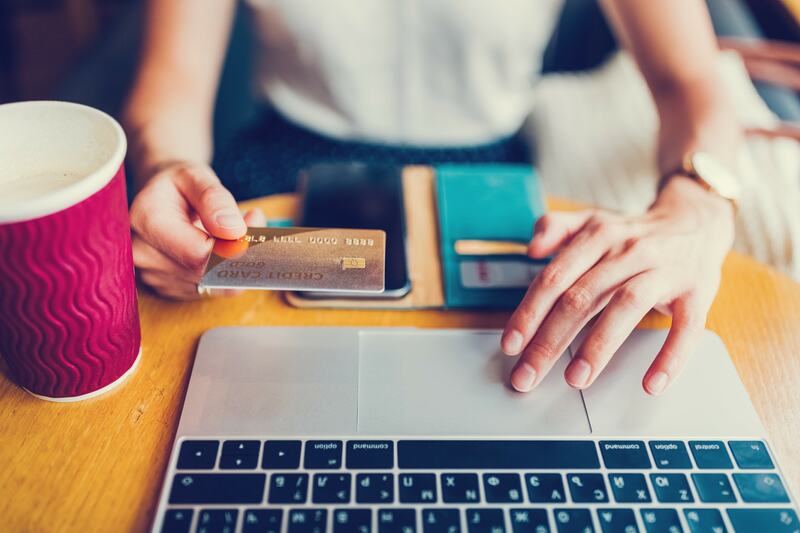 If no action is taken within five business days, an email is sent to both the primary department contact and his backup. Once the Attorney’s Office has performed its review, the Deputy City Clerk is notified by email. She reviews the reviewers’ comments to make sure that they are clear and complete. Laserfiche Workflow then routes the application to the hearing officer, who has the final say on whether or not to issue the liquor license. A hearing officer acts much like a judge, but only deals with cases involving administrative agencies. The hearing officer reviews and electronically signs the application. It is then routed back to the Deputy City Clerk, who also signs it electronically, prints it out and mails it to the state, which issues the license. Reviewing license renewal applications is much faster because email notifications remind users to finish tasks in a timely manner. 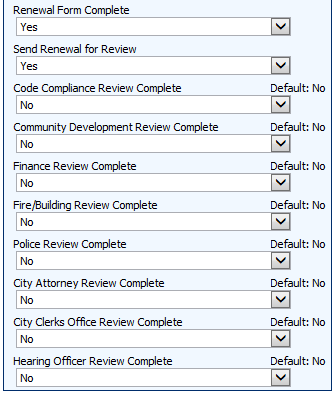 This workflow is so easy to configure that the city plans to apply this process to new license applications and transfer of ownership documents. 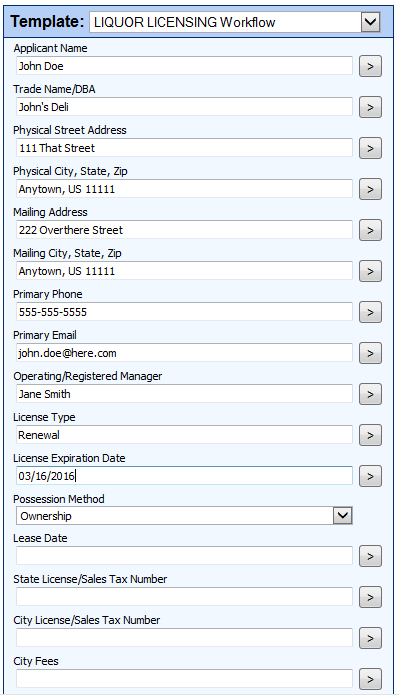 Any new documents related to a specific license application are automatically stored in the appropriate Laserfiche folder, making all license documents easy to find. Learn how to map out your business process before automating it with this free guide.